It’s been a while since I wrote about my new HSA rollover strategy and lots of things have happened since then. I quit my old job, got free health insurance for a couple months, got my own insurance for a month and will have employer health insurance again next week! I’ll probably go with the HSA option at my new employer when I start, but for now I have all my HSA money with HSA Bank. HSA Bank has changed its fees for 2014 and you will need $4,925 in your savings account in order to avoid the $2.50 monthly account maintenance fee and the $3 monthly investment fee(what allows you to invest your money with TDA). The reason why I have my money with HSA Bank is that they allow you to invest your HSA with TD-Ameritrade and their no cost ETF’s. There are a few other comparable options but I think HSA Bank is one of the most reputable companies out there. The reason why it took me so long to invest my HSA money was a) laziness and b) I wasn’t sure how I wanted to invest the money. There are a lot of ways to look at your HSA – do you want to use it to pay for current expenses, do you want to pay for current expenses out of pocket, etc? And how you look at it will affect how you invest it. Do you want to include it as part of your overall AA or use it as a separate account? I did a lot of research though and I think I found a suitable plan based on how I use my HSA. Since I pay for all of my healthcare expenses out of pocket instead of with my HSA funds, that enables me to withdraw those purchase from my HSA at any point in the future. So if I spend $1,000 on healthcare this year but pay for it with a regular credit card instead of my HSA account I can invest that money for 10, 20 or however many years I want and withdraw that $1,000 at any point in the future. Meanwhile if that $1,000 earns a 5% interest rate over 20 years I get to keep the earnings($1,653) completely tax free as long as it’s spent on healthcare. That is the real power of the HSA in my opinion. There are so many different things to consider when investing your HSA and even today, I’m still not 100% sure of my plan but here’s what I’ve got so far. The simplest solution would be to just drop my $7,000 in a target date retirement fund. But since TDA doesn’t offer no cost versions of these I’m going to do something a little different. Since I don’t know when I’ll want/need to access the money in my HSA, I don’t want to invest it like a regular retirement account. I know I won’t touch it for 10-20 years but I’m going to be a little more conservative with it so that I can access the money if I need it sooner rather than later. Since I live in California(and I plan on staying here! ), HSA’s are not tax exempt at the state level. So obviously my contributions and any earnings that I receive will be taxed. I decided on a 70/30 Stocks/Bonds allocation for my HSA. In order to avoid paying lots of dividend taxes every year though, I’m going to invest in VB(Vanguard Small Cap ETF). VB is a small cap blend fund that has a low dividend yield so it shouldn’t trigger too much in state taxes every year, I will still have to pay state taxes though on the capital gains when I sell. With this fund, I’ll also be able to tax harvest losses on a state level in years that the fund goes down. For anyone wondering, California treats all dividends the same so any dividends that my index fund spits out will be taxed at the my normal California tax rate. I decided to invest in TIP(iShares TIPS Bond ETF) since the dividends on TIPS are tax exempt on a state level. I’ll still have to pay CA taxes though on the capital gains if/when I sell this fund. Normally, TIPS funds are said to be pretty tax in-efficient but I’m effectively using the power of the HSA to offset the federal taxes and the CA tax treatment laws to offset the dividend taxes. I’m only going to have to pay CA taxes on the capital gains with this fund. One of my readers(Blake) actually got me thinking about investing my savings portion and paying the $5.50 a month in fees. On a $4,925 balance that would only equate to a 1.3% fee to invest that money. After A LOT of debate, I decided against doing that though since I want to keep that $5,000 as my “health care emergency fund”. I’d probably be able to easily earn back that 1.3% fee every year but I don’t want to get too greedy with my HSA and there’s something inside of me that just can’t stand paying a fee. There’s really no right or wrong way to invest your HSA. But since I know I can avoid taxes by investing in low dividend yield funds and TIPS I’m going to do just that. Any time you can legally avoid taxes, I think that’s a great thing. 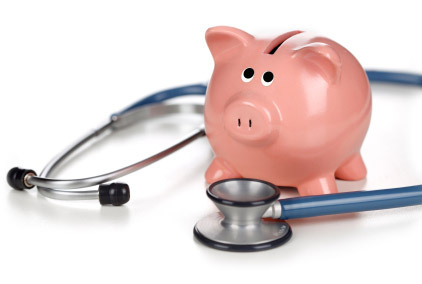 Readers, how do you invest your HSA? Or do you just let it sit there in a savings account? What do you do to avoid fees? I’ve been keeping mine in cash and I’ve also been using it for health and dental expenses. The way I look at it is that I am unlikely to withdraw the entire balance in a year, so there will still be some left to grow. Since I’m mostly withdrawing the balance and the interest rate is low, I’m not earning much interest right now. My credit union has a no-fee, 1% earning Health Savings Account, so I may do a rollover to there after a year. If only I could just keep the money there anyway since that would be one fewer account to remember about. If I’m still using an HSA in a few more years and have a larger balance, I may start investing some of it, but I’m not sure what the next few years will bring and if I have a super high deductible plan, I’d probably rather have the money in cash. Yea that makes sense. I look at it like this: I know my medical expenses are going to be around in 10, 20, 30 years, especially since I wear contacts. I can essentially invest my HSA money and get a lot of that future medical work paid for for free. I can still have a 5k cash buffer in my savings account which would cover more than the deductible and just under my OOP max. The thing is HSA’s are just so flexible, I don’t see a reason not to invest the money. Even if you only have 2k in your HSA and you spend 5k on medical in one year, you can pay yourself back tax free over the next couple years. HSA’s are insanely flexible and nearly always favor the consumer. I don’t think they’ll be around for much longer though since they’re such a great investment vehicle so I’m maxing out and paying for everything OOP. Thanks for your perspective on this Harry. I’ve had an HSA with HSA Bank for several years and am looking at investing it now that I’ve accumulated a good amount. The 70/30 allocation seems like the right blend to me.